NOTE: On these Sundays in 2018, 8/26, 9/30, and 11/11, there will be one worship service only at 10:00 a.m. Sunday School is moved to 9:00 a.m. on these dates. On Sunday, 12/30, there will a 10:00 a.m. worship service in the Sanctuary and no Sunday School. Please check the weekly Steeple for more details. Sunday School: where faith and knowledge grow in our life together! FAITH, NOT FEAR… WORSHIP, NOT WORRY! 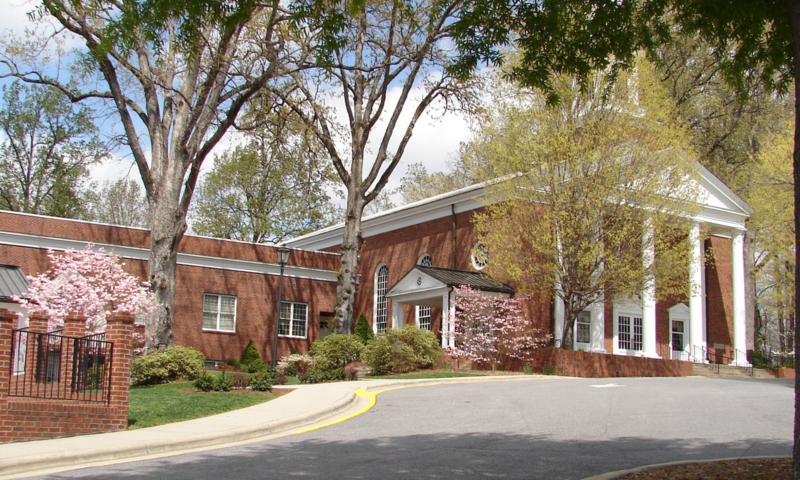 The purpose of the Lenoir Presbyterian Church is to earnestly invite Christ, the Light of the world, to shine brightly within a church that is at the heart of the community’s heritage, significantly influencing its present and leading the way to its future in such a way that people are drawn to find life-giving warmth around the kindled fire of our Christ-centered worship and fellowship, and sent to bear the radiant love of Christ throughout the community and into the world so that Jesus Christ may be illuminated as Lord and Savior. Bearing the Light to the community and the world as the church sent to minister Christ’s love in word and deed. Bowing humbly before the Cross, we lift up Jesus Christ as the one and only way to salvation. Recognizing that all people are sinners, we will be passionate about drawing people into a saving relationship with Jesus Christ, God’s grace revealed to the world. We accept and study the Bible as God’s revealed Word, and teach that Holy Scripture is the only unfailing rule of faith and life. We are led by the Holy Spirit, living in faith that God will do new things in our lives and transform us by His Word. We will pray for and be driven by His calling. We will take prayer seriously and step out in faith. We seek to offer ourselves to God, Father, Son and Holy Spirit, as a holy and pleasing sacrifice, and to live pure lives. We will discover our God-given talents and use our gifts in ministries about which we are passionate. We desire with our hearts to expand the Kingdom, both at Lenoir Presbyterian and beyond. We will reach out to draw people into Spirit-led worship so that they may grow to be disciples of Jesus Christ. We will care for one another, not just through pastoral care, but through congregational care, which comes first and best through smaller groups of community and fellowship. To help people discover true life in Jesus Christ. To grow Jesus-conformed, Biblically-literate, and theologically sound disciples who are serious about obedience to Jesus Christ and service to His glory. To pray for all people. To be connected with one another in authentic and accountable community, loving one another deeply enough to encourage each other to greater obedience to God and church. To rejoice in and make use of each person’s gifts, celebrating the diversity of our fellowship. To keep fervently alive a passion for mission, locally and globally, certain that wherever Jesus Christ is proclaimed, life is more abundant. To develop new leaders and mission communities for God’s Kingdom. God’s Word is the authority for our confession (sola scriptura: Scripture alone). God is one essence and three persons, Father, Son and Holy Spirit (Trinity). Jesus is fully and truly God and fully and truly human (Incarnation). God’s grace tells us that all of humankind is fallen. While created by God in His image, sin has so distorted the world, that there is no goodness in any part of humanity. Jesus Christ is the sole Redeemer of the world and He alone has paid the price for our sin and removed God’s wrath that we deserve so that we can be once more in right relationship with God. Salvation is by Grace Alone through Faith Alone because of Christ Alone. We are saved to serve the Lord by loving others, to use the gifts of God for the good of others, and to live holy lives. The Church is our new life family in which God’s grace is extended through the preaching of the Word, the right administration of the sacraments, and the faithful practice of mutual discipline. The Sacraments are two: Holy Baptism and the Lord’s Supper. Pray that we will always be a community connecting for Christ!